The first inkling that Rangers might be touring somewhere of great interest arrived at the beginning of May, 1962, when a story broke in the press of the players being asked to hold off booking a summer holiday. It was the briefest of announcements by manager Scot Symon, but one which hinted of a tour abroad. championship had eluded the Ibrox men. battle ensued and wee Davie Wilson was seen to hold back hard-man team mate Pat Crerand. Not the easiest of tasks for the slight Rangers winger. In fact, in one contemporary match report, the journalist speaks of an ‘ugly, bruising encounter in which the referee was forced to take the names of two Uruguayans!’ Changed days indeed, when a couple of bookings represents an ‘ugly encounter’. The Gers players involved in the match were Eric Caldow, Jim Baxter, Alex Scott, Ralph Brand and Wilson. The ‘bruising encounter’ finished 3-2 to Uruguay, with Baxter and Brand on target for the Scots. Brand knew there would be no football played in the Danish capital, just rest, especially after a long and arduous season, and he was happy enough to spend that time with his family. 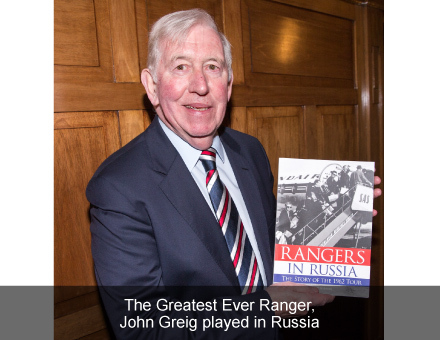 Just as the players were boarding the flight for Copenhagen, the official word from Rangers on the prospect of a tour ‘somewhere interesting’, was met with a wall of silence, the likes the Kremlin itself would have been proud of. It was indeed a massive blow, but at least the veil of secrecy had been lifted. 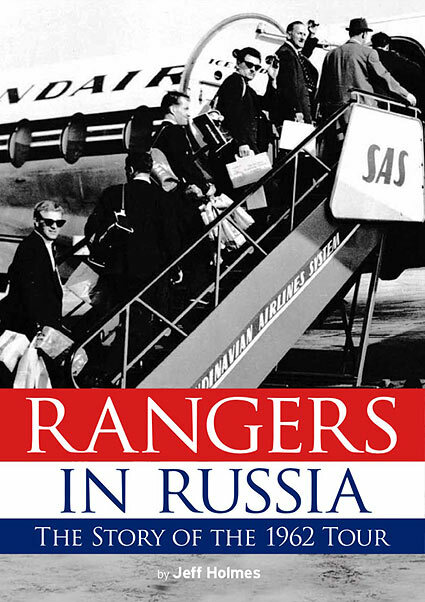 Rangers were heading off to Russia, although no one was quite sure what awaited them, Jim Baxter or no Jim Baxter!